I’m trying to catch up with all the Best Picture nominees before this year’s Oscar ceremony, and seeing as I have Netflix there was apparently no reason not to watch Roma, apart from a few people telling me I probably wouldn’t like it. They were very much correct, I did not enjoy watching Roma. It was not a pleasant watching experience. No, watching Roma was often arduous, a very real struggle to remain engaged with a film that seems to actively repel the viewer for most of it’s run-time, and which thinks that some artistically shot sequences and long takes will be enough to warrant what often felt like a punishment. 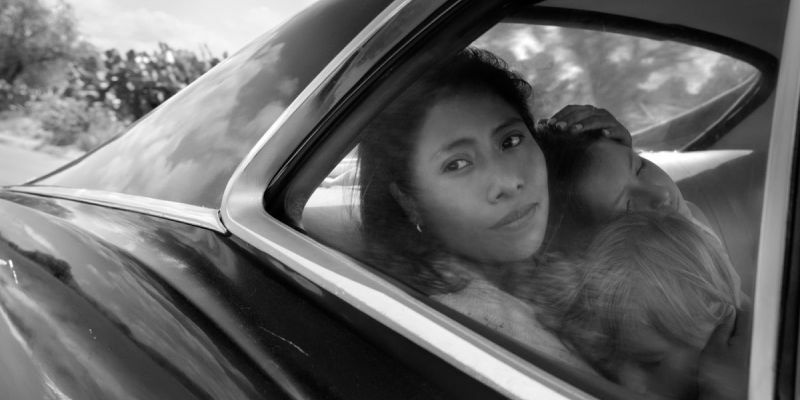 Roma isn’t yet on the 1001 Movies You Must See Before You Die list, but if I know the list-makers – and I most certainly do not – then I’d feel pretty comfortable putting money on its inclusion in the 2019 edition, whether it wins any Oscars or not. And let me be clear about this, it should not win any Oscars. None. Not a one. Although to be fair, the more nominated films I see from this year’s crop, the more disappointed I am with the whole nomination field. OK, Roma. My main problem is that the first hour or so is intolerably dull. It’s reminiscent of Jeanne Dielman, one of the worst and most arduous viewing experiences on the 1001 List, which spends over 3 hours watching someone cooking and cleaning and rarely doing anything interesting. Roma isn’t that bad though, in fact it’s light years ahead of Jeanne Dielman, but it does open with an almost four minute static close-up shot of floor tiles being washed. We watch Cleo and another maid, Adela (Nancy Garcia), cleaning the house, waking the children, washing and hanging the laundry, cleaning up dog faeces and other mundane tasks. There’s a very long sequence in which the father of the house, Antonio (Fernando Grediaga), parks his slightly-too-wide car in the family’s slightly-too-narrow garage, in a series of carefully orchestrated manoeuvres. It’s achingly dull to sit through, regardless of whether it is important to the rest of the film and in setting up a vision of the family. 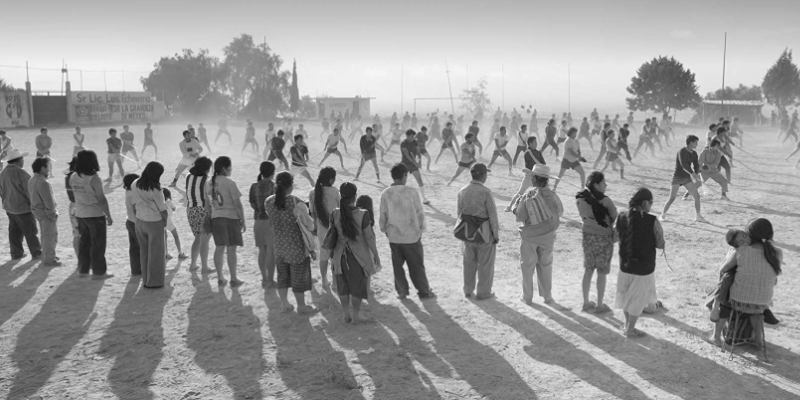 The dullness wouldn’t be as much of an issue if I were watching Roma in a cinema. In a theatre you’re attention is held because there’s nothing else to focus on, the only possible action is to watch the film in front of you, there’s literally no other possibilities. At home, however, there are so many distractions, so many devices to hand that these painfully drawn out sequences where seemingly nothing is happening of any real narrative-driving value are all but daring you to drop your gaze from the screen and do something, anything else with your time. 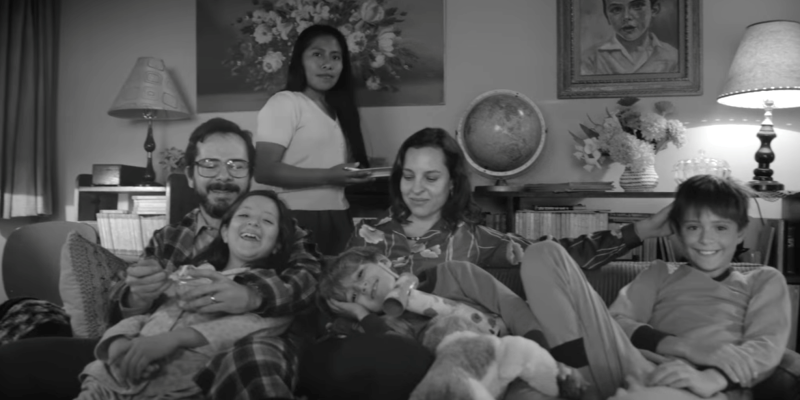 Roma only had a very limited theatrical release, therefore I can only the assume that the intention must have been for the majority of audiences to watch this at home on small screens, which to me feels like a huge mistake. Had this received a more traditional release schedule and still garnered a Best Picture nomination, I’d have made the effort to watch it in a cinema, and perhaps I’d have appreciated it more. Perhaps. As it is, I’m not ashamed to admit that my mind wandered often during Roma, because there was so little to engage with on screen. 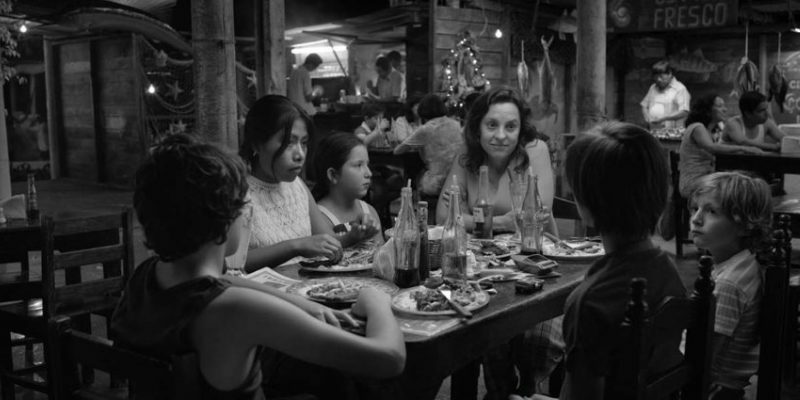 Many people are huge fans of Roma, citing it as a favourite to win Best Picture, and cannot seem to understand any kind of negativity drawn towards it. I can see where they’re coming from, to a point, as there is a depth to the story being shown, with numerous themes on display. There’s how the family Cleo works for treats her, the developments of her relationship with Fermin (Jorge Antonio Guerrero), the gradually dripped revelations of the deteriorating relationship between Antonio and Sofia (Marina de Tavira), as well as some truly fantastic scenes. One particularly gruelling scene in a hospital is terrifically performed, and is probably the basis for Aparicio’s Best Actress nomination, which is entirely justified, especially when you consider this is Aparicio’s first film acting role, having previously worked as a schoolteacher. I’m more surprised by de Tavira’s nomination as, whilst she is by no means bad, it’s not a terribly showy role, similar to Adam Driver in BlacKkKlansman. 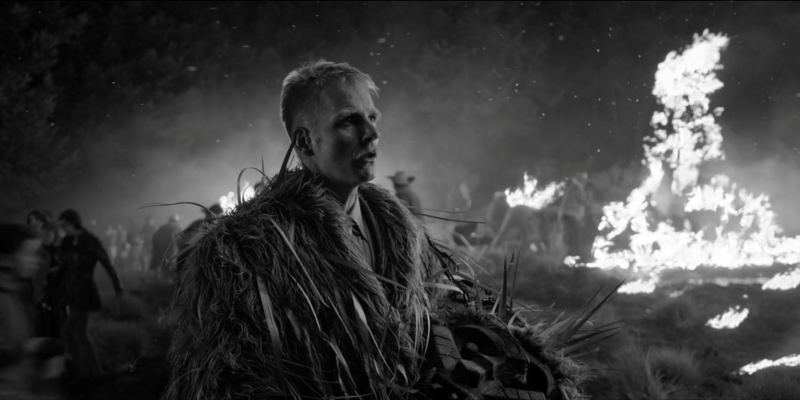 Cinematography-wise much of the film is beautiful, with Alfonso Cuaron’s signature long takes aiding the acting performances and retaining the motion of the scenes. There are perhaps too many rotating pan shots, giving me flashbacks to the oscillating fan scenes in Paranormal Activity 3, but so be it. I question the decision to film in black and white, though. It’s an artistic choice, fine, but I find it limiting, especially for a film such as this where so much is told visually. In a full colour film it can be easier to distinguish elements of the production design in a scene, something that is more difficult for the viewer when all that is presented is varying shades of grey. 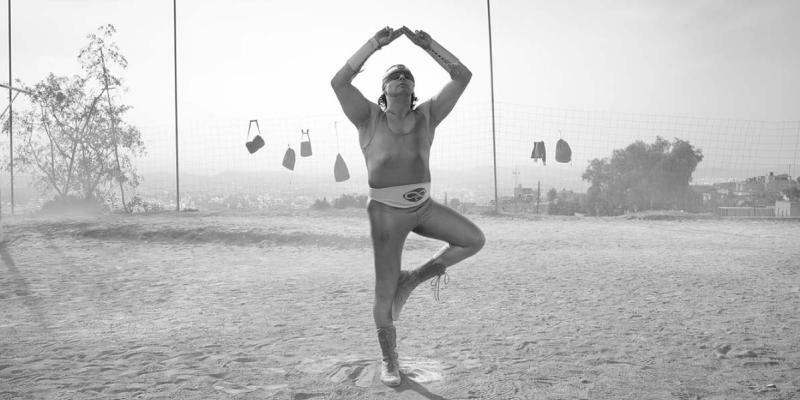 Roma is the kind of film where personal preference plays a huge part in one’s enjoyment of the experience. As it happens I’m not a huge fan of mostly narrative-free, slice of life character studies. As films go, I’m generally more drawn to films with strong plots than meandering works such as this. So my disliking this film doesn’t necessarily mean it’s entirely bad, more that it’s just not for me. I understand the need for the long periods with not a lot occurring, but it makes for a very difficult film to pay attention to. I can however confirm that this is the first film to ever make me pause it, stand up, close my eyes, touch two fingers above my head and stand on one leg, which I managed with just a slight stumble. This entry was posted in 07/10, Choose Life, Review and tagged Alfonso Cuaron, Carlos Prealta, Daniela Demesa, Diego Cortina Autrey, Fernando Grediaga, Jorge Antonio Guerrero, Jose Manuel Guerrero Mendoza, Marco Graf, Marina de Tavira, Nancy Garcia, Roma, Veronica Garcia, Yalitza Aparicio by jaycluitt. Bookmark the permalink. I am so pleased to read a review where someone else did not like this film. I totally agree about it being dull and boring. It actually took me two attempts to watch it and I really hope it does not win Best Picture. While this year I don’t have a full on love for one of the nominees I really did not like this one at all. Good review! Thanks Caz! Of this year’s nominees I’m pitching for The Favourite, but honestly I’ll be fine if BlacKkKlansman or even Bohemian Rhapsody takes it, and I liked Green Book more than most (but it isn’t Best Picture good). As long as Roma or A Star is Born doesn’t take it, I’ll be OK. While it’s definitely the most arduous of the nominees this year (not a difficult title when Black Panther’s up there), there were a good handful of moments in this film (the Corpus Christi scene) that had me floored. Still, I dunno if I’m in a rush to see it again, great review! Thanks. Yeah, the riots were well depicted, especially from the POV of an innocent bystander caught up in it all, and other scenes were well done too. That’s where post of the 6/10 came from. It’s the opening hour or so that lets the rest of the film down. I didn’t find Black Panther a slog. I’m surprised it’s up for BP, but I watched it a couple more times since that first viewing and I’m OK with it getting some recognition.